Nelson's Point of View: Hey... watch it! Christmas is coming... and so is your big fat bonus. Thinking of giving yourself a treat? 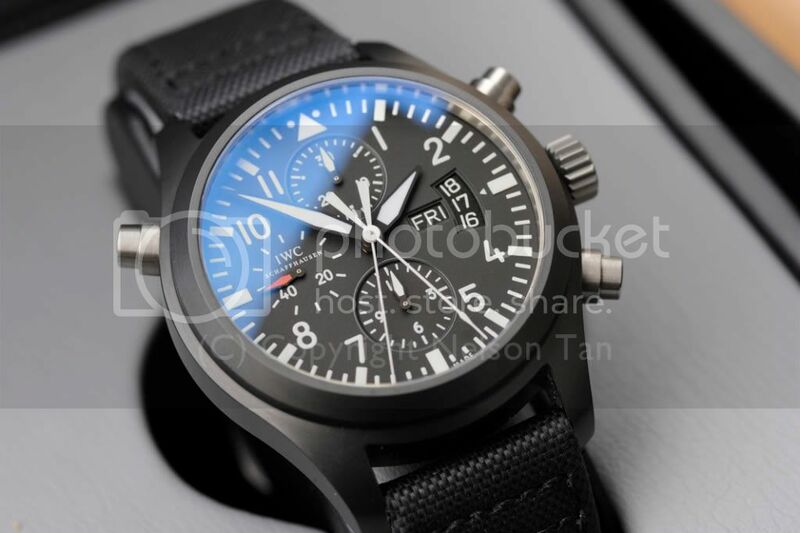 Reward yourself with a IWC ceramic pilot watch. Made from high-tech production process, ceramic is the hardest substance on earth after diamond. So while these watches are real tough, avoid fighting with your wife while wearing them cuz she WILL win with that diamond you bought her. 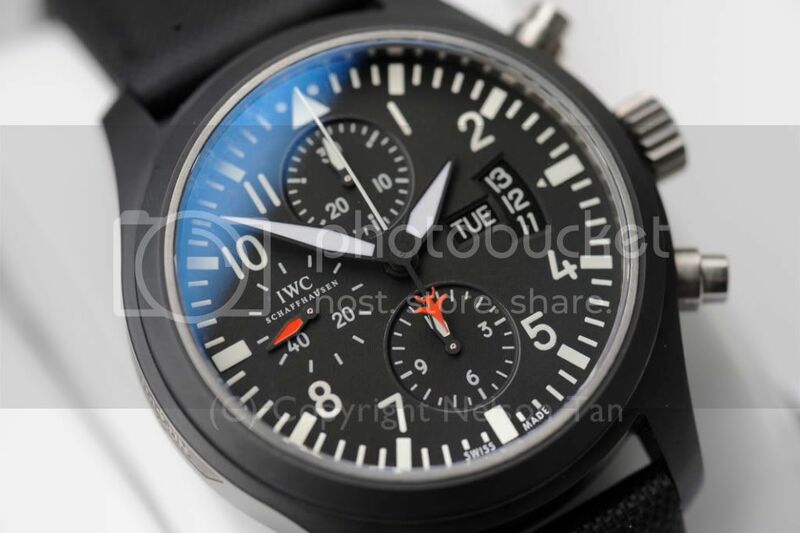 The IWC Pilot Doppelchrono Ceramic Limited Edition Ref: 3786. Limited to 1000 pcs only - completely sold out. The 44mm Doppelchrono LE features double-chronograph captures split timings, and it features the cut-open date window found in fighter jet plane displays. The second-hands is finished in striking red for easy reading, also inspired by fighter jet cockpit displays. But the most significant technical advancement in this watch is in the ceramic case, which is very difficult to manufacture. Even the chrono pusher buttons and back are made from Titanium! the ceramic doppel chrono still for sale? But in today's time-poor society, when the need to keep tabs on those seconds is more essential than ever, it seems the concept of a wrist watch has become that of a status symbol rather than a practical chronometer.